We've been talking about this feature a lot while building and testing it, but now it's finally available for all Exist users. This is the most flexible feature we've ever introduced into Exist. 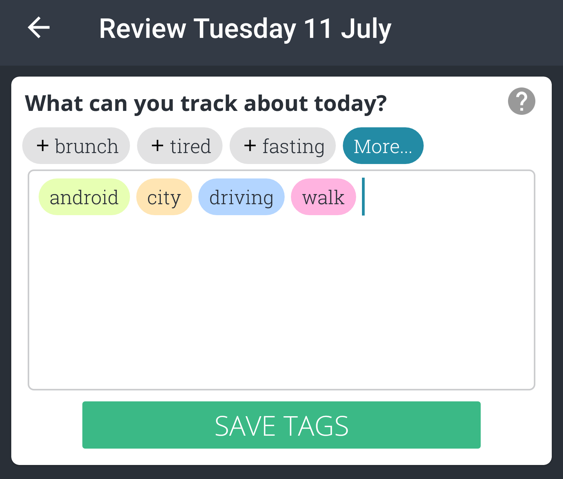 You can now create a custom tag for anything you want to track, and find out how it affects the rest of your life. Your custom tags will get the same data analysis treatment as the rest of your Exist data, so you'll be able to find trends and correlations between your custom tags and everything else you already track. To get started with custom tracking, make sure you already have an Exist account. Download and log into our iOS or Android app and turn on custom tracking from the settings screen. 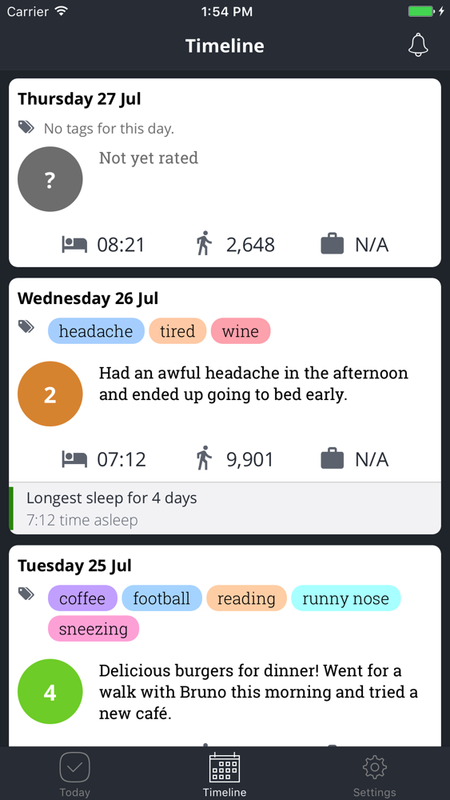 You can tap on the custom tracking tile on the Today tab to enter your tags for today, or you can tap on any day on the Timeline tab to enter both mood and custom tags for that day. 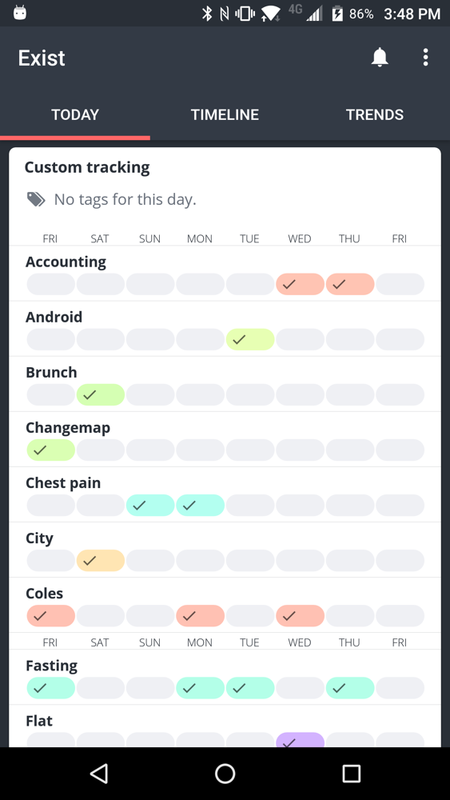 As you create more tags over time, this screen will show your most commonly-used tags as grey buttons at the top, so you can quickly tap to enter the tags you use most. There's also a handy autocomplete feature on this screen, so you can type a letter or two and get suggestions for the tag you might be looking for. 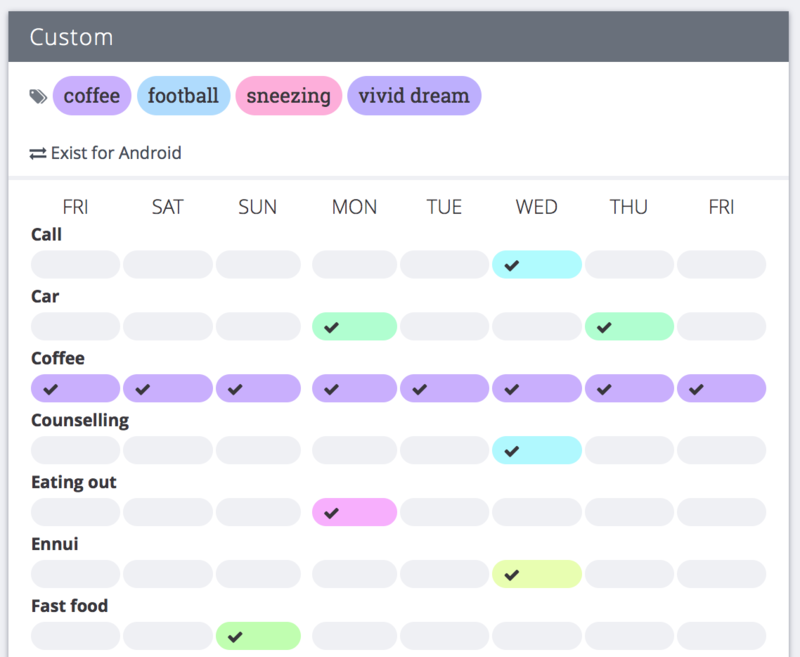 We've pre-populated the autocomplete with some of the most popular custom tags to help you get started, such as "coffee", "bike ride", "period", and "headache". As part of this new release, we've also added a little help icon in the corner of the entry screens for custom tags and mood. Tapping these icons will open a help page specifically about that feature, to give you a better idea of how to get the most out of it. This graph will be coming to the iOS Today tab in the future. And finally, perhaps the best part of custom tracking: after you've been adding tags for a few weeks, Exist will be able to find correlations between your tags and the other data you've connected to Exist. 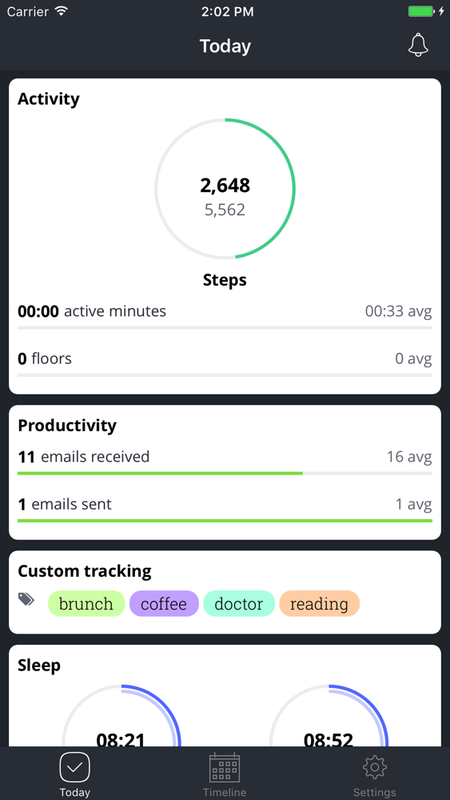 Custom tags can also show up on your Optimise page, where Exist tells you the best ways to have a better day, get more steps, and increase your productivity. Check out this blog post for some examples of correlations I've already found using my own custom tags, as well as lots of examples for ways to use this new feature.